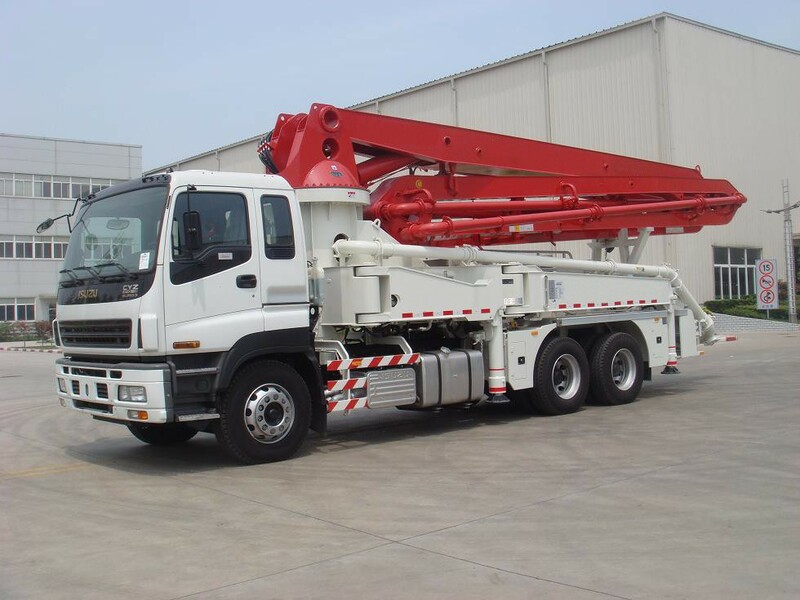 Boom trucks are self-contained units consisting of a truck and frame, and the pump itself. 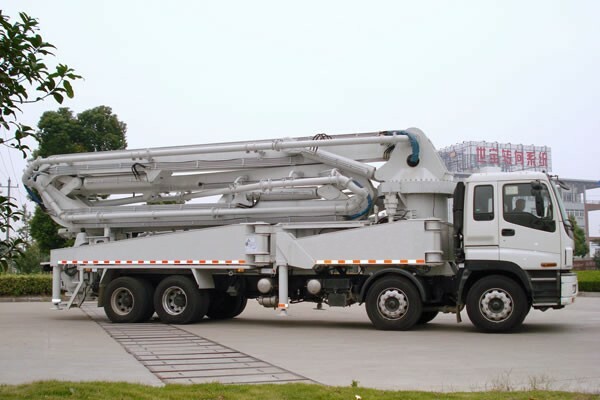 Boom trucks are used for concrete pours for everything from slabs and medium high-rise buildings, to large volume commercial and industrial projects. 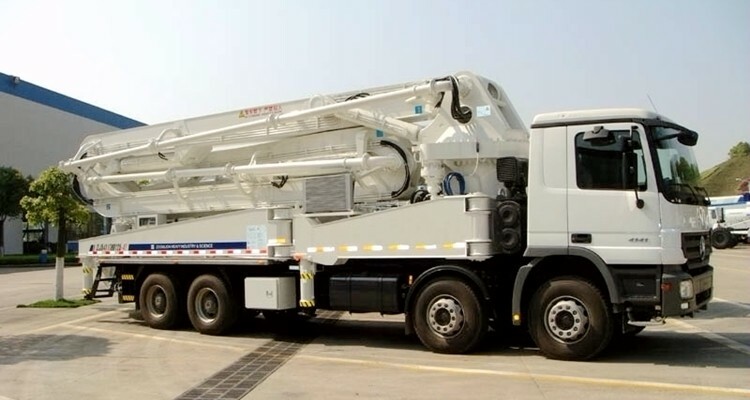 They range from single-axle truck mounted pumps used for their high maneuverability, suitability for confined areas, and cost/performance value, to huge, six-axle rigs used for their powerful pumps and long reach on high-rise and other large-scale projects. The big-diameter conveying cylinder has a strong suction ability and can afford large pumping flow. The HBC wireless remote-control unit imported with original German packaging is light in weight and easy to carry. The operator can put the distributing boom in place simply by operating the handle bars. The pumping capacity can be regulated through the stepless control device. The stretching speed of the distributing boom can be regulated through the quick-and-slow stepless control device. 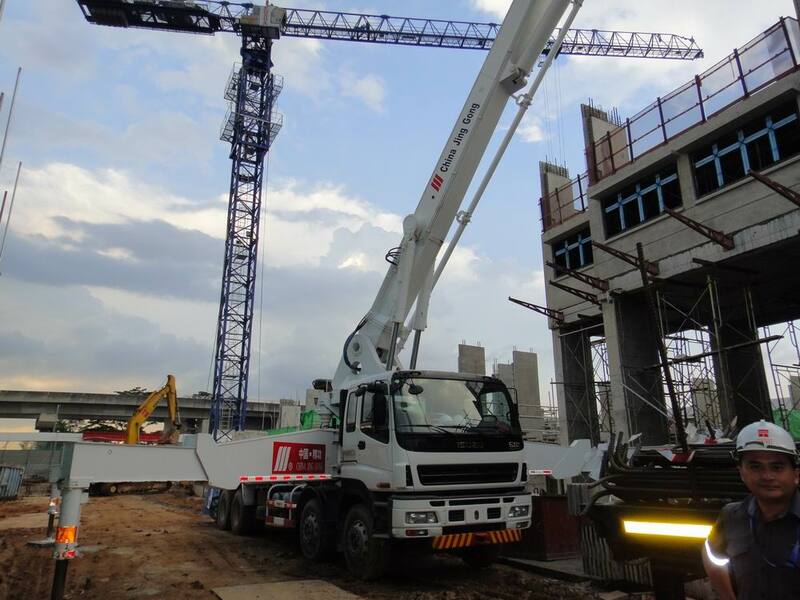 The slewing speed of the boom can be regulated through the stepless control device. It is equipped with the emergency brake device and the automatic speed-control device for the diesel engine to reduce oil consumption. Equipped with the STEIBEL transfer case and the REXROTH pump unit imported with original German packaging. Equipped with slewing reducers and motors imported with original packaging. It is equipped with an electric cabinet with totally-imported components; control modules like PLC are all products from the German company SIEMENS.